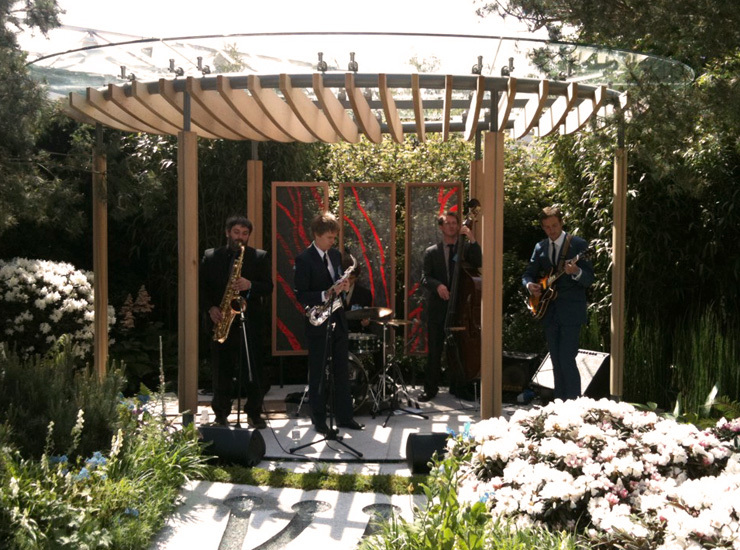 Bit of a random one, but The Frootful Art Ensemble were invited to play at the Homebase Cornish Memories Garden during the celebrity packed Chelsea Flower Show press day. 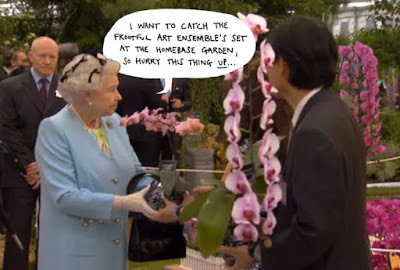 We didn't make it onto any BBC coverage, but I did catch HRH The Queen saying this. Don't say she didn't, if you click on the image above, you can quite clearly see she did. Our audience included Ringo Starr and Bill Bailey, among other celebrity types.